Pre-cut notch conforms well around drains, catheters, chest tubes, I.V. 's and tracheostomies. Sterile. Virtually lint-free. 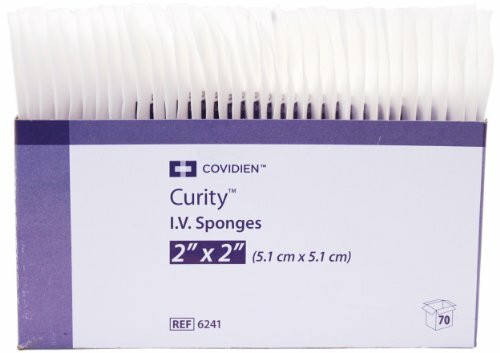 Tray of 35 Sterile Packets of 2 Sponges each - 70 total. Pre-cut notch conforms well around drains, catheters, chest tubes, I.V. 's and tracheostomies. Eliminates need for sterile scissors, conserves nursing time.